Can you use leftover cable for your cell booster? There are two kinds of people in this world… those who have a cell booster and those who need one. OK, that’s probably a little bit extreme, but it’s likely that up to 90% of us need a cell booster in our homes or workplaces. Cell towers aren’t that powerful, people, and cell phones are particularly weak. It wasn’t always that way, but power-hungry 10-watt phones just didn’t really make an impact in our world, and it’s still not clear what the impact of putting that much power next to your brain would be. So, if you use your phone inside, you’ll benefit from a cell booster. But maybe wiring isn’t your strong suit. You can take a look at our completely wireless cell boosters from Cel-Fi, but even I’ll admit they’re a touch on the pricey side. If you want to spend less, you’ve got to be prepared to run a wire from your outdoor antenna into the booster located inside the building. And then you thought to yourself, “hey, I have some leftover cable from when I had cable TV. Can I use that?” Absolutely. 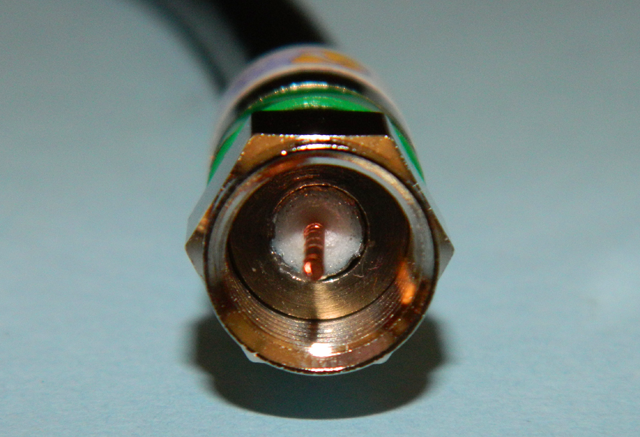 In fact almost any coaxial cable can be used for a cell booster, as long as it’s in fairly good shape. Cellular signals are more forgiving than satellite or TV antenna signals and they work just find with pretty much any cable you have lying around. That’s great news if someone else already did the work to bring television signals into your home over a coax cable and you aren’t using that wire any longer. That said, your next question might be “what if I am using that cable?” It’s possible to use the same cable for both TV antenna and cell booster use, but depending on the type of antennas you’re using, it could cause interference for both. It’s a bit of a trial-and-error thing, but using a splitter turned upside down (so it is a combiner) can sometimes let you use two different antennas for different things on the same wire. When it works, it’s an easy solution. When it doesn’t, though… be prepared for trouble. The one thing you cannot do is use the same cable for cell booster and satellite. Folks, this does not work. You’ll create all sorts of chaos on your satellite TV setup and it’s possible that your cell booster could shut itself down to avoid overloading and creating feedback. I say again, do not try this. It’s a perilous path to tread. If you have flat antenna wire left over from a very old antenna setup, it will sometimes work but you’re better off using that wire as a guide to snake new cable in through the wall and just being rid of that flat, 300-ohm cable. One way or another though, once you get that cell booster installed, you’ll wonder how it was that you ever got away without one. You’ll never walk outside to take a phone call or hold your phone up high to get a signal. Standing near windows will be a thing of the past, unless it’s to look at the view outside, and even your friends and visitors will thank you for the strong cell service. It’s practically mandatory now, right? What is active noise cancellation? Which mobile cell booster do you need? Hands on With the Cellphone-Mate CM2000… With Video!